3. Delivering excellent and consistent service through a skilled and diverse workforce and effective systems. Below is an overview of each of the plan’s objectives, as well as examples of the practical impact this new plan will have on employers and their employment practices liability insurance carriers. The EEOC enforces Title VII, Age Discrimination in Employment Act (“ADEA”), Equal Pay Act, Genetic Information Non-Discrimination Act (“GINA”), Americans with Disabilities Act (“ADA”) and Rehabilitation Act. Enforcing these laws to prevent unlawful discrimination and retaliation will continue to be its top priority from 2012 to 2016, and it will utilize investigations, mediations or conciliations, and litigation mechanisms to do so. EEOC investigations typically end when the EEOC issues a notice of dismissal and right to sue letter thereby giving the charging party 90 days to file a lawsuit under the federal statutes that the EEOC enforces (the 90-day deadline does not apply to state law claims). On some occasions, the EEOC will issue a cause determination, meaning that during the investigation the EEOC finds reasonable cause to believe unlawful discrimination or harassment occurred. A cause determination can be problematic because courts have held that EEOC cause determinations are generally admissible at trial under the hearsay exception for public records. Cause determinations by the EEOC are typically the exception as opposed to the norm. For example, in Florida, the EEOC estimates that only 7% of charges result in cause determinations, and the investigator usually gives the employer warning before formally issuing the cause determination thereby giving the employer one last chance to submit new evidence or potentially settle the claim through voluntary EEOC conciliation or otherwise. The EEOC voluntary conciliation program is likely to be offered in more EEOC jurisdictions in the upcoming years as a method for resolving these charges as the EEOC does not have enough staff to investigate the increasing number of charges that are filed each year. Although the exception, the EEOC also files lawsuits in court on behalf of plaintiffs. For example, the EEOC filed nine lawsuits on behalf of plaintiffs in Florida in 2011. 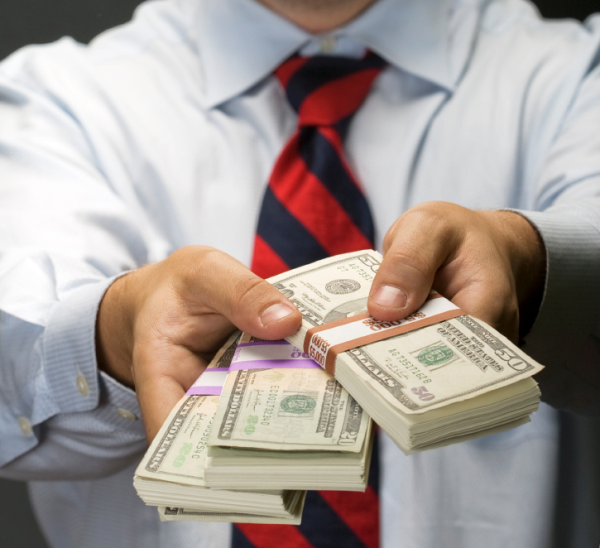 The EEOC’s goal is to double the number of lawsuits that it files in Florida in 2012. This trend of increased lawsuits brought by the EEOC is likely to continue in an attempt to decrease discrimination through public awareness created by EEOC lawsuits. The EEOC plans to focus on representing plaintiffs in class action lawsuits in which multiple victims are subjected to unlawful discrimination, and also cases on behalf of individual plaintiffs who are subjected to the most egregious discrimination by employers. Practical Impact – We recommend participating in the EEOC’s voluntary conciliation/mediation program for most claims to see if they can be resolved for a nominal amount before substantial defense fees and costs are incurred. Even if the claim is not resolved, you still learn more about the claim by hearing from the claimant or his or her attorney. EEOC conciliation is also very cost effective as the EEOC mediator does not charge a fee and the claims representative is not required to attend in person. Also, if the EEOC informs the employer that a cause determination is coming, we recommend immediately submitting new evidence and potentially arranging for witness interviews to the extent the employer is not in the wrong. If the claim appears to have substantial weaknesses and a cause determination is pending, then it makes sense to strongly consider early resolution if the settlement amount is reasonable before incurring substantial attorneys’ fees and costs in defending a problematic claim. 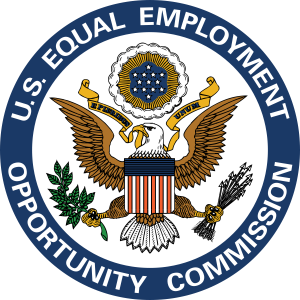 The EEOC targets it education and outreach program to those persons who historically have been victims of employment discrimination and have not been equitably served by the Commission. The EEOC believes it is important to target subsets of people within protected classes, such as persons of color under the age of 30 or low-skilled workers and new immigrants who may be unfamiliar with the nation’s equal employment laws. It appears that more employees are knowledgeable about the EEOC than ever before. For example, the EEOC reported a record number of charges of discrimination, 99,947, in the United States in 2011, which broke the previous year’s all-time record of 99,922 in 2010. The combined number of charges filed in 2010 and 2011 was almost 50,000 mo re than the combined number of charges filed in 2005 and 2006. In addition to increased awareness of the EEOC, the struggling U.S. economy and loss of jobs over the past several years is a strong contributing factor to the sharp increase in the number of charges filed. Practical Impact – EEOC claims will likely continue to increase as more employees will learn about the EEOC as a vehicle for lodging a complaint against an employer or former employer, and the economy continues to struggle on its path to recovery. Employers also need to become more knowledgeable of the laws and more sensitive when dealing with employees as they continue to become more savvy and have an eye towards setting up a potential claim if the employment relationship sours. Employees are particularly savvy in setting up retaliation claims, where employees complain regarding discrimination or harassment in an effort to insulate themselves from an adverse employment action. If the employer does terminate their employment in close temporal proximity to their complaint, then the employee will allege that the termination was in retaliation for their protected activity that occurred when they complained of alleged discrimination or harassment. In 2011, the EEOC reported that retaliation claims were the most frequently filed charges, accounting for 37% of all charges filed with the EEOC. The EEOC will continue to employ a diverse workforce and strive to ensure that each staff member is highly skilled in an effort to make all EEOC interactions with the public timely, of high quality, and informative. The EEOC wants to improve customer service by implementing technology that will make it easier for charges of discrimination to be submitted and processed by the agency. Practical Impact – As the gatekeeper to the court system for discrimination and retaliation claims, the EEOC will continue to serve an important role in the employment practices liability claims handling process from 2012 to 2016. As such, it is important that employers and claims handlers continue to fully cooperate with all EEOC staff members by providing them requested information and responding promptly to any communications from the EEOC at all times. The EEOC should not be treated as an adversary by employers, but instead should be embraced in order to build a positive relationship. The materials contained in this Announcement are for informational purposes only and not for the purpose of providing legal advice. For advice about a particular problem or situation, please contact an attorney of your choice. If you would like to be added to the email list that receives Cole, Scott & Kissane’s Employment Law Update automatically, please e-mail Barry Postman or Brian Rubenstein. The Florida Legislature created the Florida Commission on Human Relations (FCHR or Commission) in 1969 to investigate alleged violations of Florida’s Civil Rights Act and Florida’s Fair Housing Act. A fair housing complainant must submit their claim to the FCHR’s investigative process before they are permitted to proceed in court. What follows is an overview of the administrative process that takes place once a fair housing complaint is filed with the Commission. The administrative process begins with the filing of a written and verified complaint at the office of the Commission. The complaint must be filed within one year of the alleged discrimination. A response from the respondent is required within 20 days of the date of notice of the filing of the complaint. The Commission assigns an investigator, who has authority to request interviews, written interrogatories, production of documents, site inspections, and a written statement or affidavit from either party. The Commission is charged with the obligation to encourage settlement of all claims on mutually agreeable terms. Accordingly, the investigator’s initial efforts are often focused on determining whether an amicable resolution is possible. The investigation period is slated to last 100 days, at which time the Commission issues a Notice of Determination of either “No Cause” or “Cause,” accompanied by a Final Investigative Report detailing the investigator’s findings. 2) The complainant may file a civil action in federal or state court within two years of the occurrence of the alleged discriminatory conduct. The computation of this two-year period excludes the time from the filing of the fair housing complaint with the Commission through the end of the FCHR’s administrative proceedings. 1) The complainant may request that the Attorney General bring a court action in the name of the state on the complainant’s behalf. 2) The complainant may request that the Commission petition for an administrative hearing in the name of the state on the complainant’s behalf. 3) The complainant may initiate a civil action no later than two years after the occurrence of the alleged discriminatory act. Again, the computation of this two-year period excludes the time from the filing of the fair housing complaint with the Commission through the end of the FCHR’s administrative proceedings. If the investigator does not make a determination of either “Cause” or “No Cause” within 180 days following the filing of a complaint, the complainant may commence a civil action in any appropriate court against the respondent. The filing of a Petition for Relief from a Discriminatory Housing Practice typically results in a hearing before an Administrative Law Judge assigned by the Division of Administrative Hearings. Following the hearing, the Commission ether dismisses the petition or, in the event the Commission determines that a discriminatory housing practice has occurred, it issues an order prohibiting the practice and providing relief, which may include damages and reasonable attorney’s fees and costs. Any party may appeal the Commission’s decision within 30 days of the written determination by filing a notice of appeal or petition for review in accordance with the Florida Rules of Appellate Procedure. Fla. Stat. § 120.68 and the Florida Rules of Appellate Procedure. Community association litigation is a complex topic that does not lend itself to generalizations. Condominium and homeowners associations are sued for as many reasons as the human experience will allow. If you can imagine it, there’s no doubt someone somewhere has attempted to use it to support a lawsuit. When most people think of community association litigation, however, they think of covenant enforcement disputes. As is well known, community associations, including condominiums, homeowners associations and cooperatives, are governed by a set of covenants and restrictions that set forth the respective rights and obligations of the owners and the community association itself. These governing documents restrict use of property and provide for the maintenance thereof. When most people think of community associa­tion litigation, they think of disputes involving restrictions on use of real property; and they think of disputes to enforce or contest an owner’s obligation to pay maintenance assessments. Covenant enforcement litigation requires a funda­mentally different approach that is eminently sensitive to the motivations driving the underlying dispute. First and foremost, at the heart of this litigation is real property. There is perhaps no greater catalyst to irrational behavior than perceived threats to person, family, job or property. The owner is often driven by a fundamental sense of entitle­ment to absolute and unrestricted use and control of his or her real property. Typically speaking, on the other side of the dispute is the community association’s board of directors. These individuals have their own set of motiva­tions. They may have been driven to volunteer for their thankless tenure on the board of directors by a desire to help promote community health, happiness, safety, and welfare. On the other-hand, if the condo commando stereotype holds true, then they are driven by ego, and lust for power and control. These two forces threaten to manifest themselves in a dispute between diametric opposites. The owner sees himself as the last bastion against a communistic threat on private property ownership. The board of directors, of course, sees itself as the only safeguard preventing the community from sinking into an anarchic slum. Both sides are often willing to stand or fall on principle. The only commonality shared by both sides is an overwhelming desire to prove the other wrong and to punish them for their differences. If left unchecked, the factors motivating the dispute will drive and shape the litigation. One would hope that the economics of lengthy and aggressive litigation would force a more reasonable and amicable approach. A victory against your neighbor may be satisfying – but at any cost? Most prudent people will give pause if faced with the prospect of paying tens or even hundreds of thousands of dollars to their attorney. This one hope at a reasonable approach, however, is counteracted by the very real possibility that the winner in these disputes will emerge entirely unscathed, having had his or her attorney’s fees paid as the prevailing party. In drafting the various community association acts, the legislature has seen fit to include provisions allowing for prevailing party attorney’s fees in litigation involving covenant enforcement disputes and litigation to enforce an owner’s obligation to pay maintenance assessments. This fact operates in several different ways to exacerbate the dispute. First and foremost the parties are given a new category of injury to bemoan. They now perceive the other party as being indebted to them for their attorney’s fees. The more they fight – the more they litigate – the more the other party owes – the greater the injury – the harder they should fight, etc. The attorney’s fees incurred in the dispute become their own perverse motivation. This is a vicious circle that can be impossible for some parties to escape. This calls for a unique approach to community association litigation that appreciates the underlying motivations. Emotions and fees oftentimes drive these claims. To resolve them quickly one must force the parties to reflect on their competing perspectives and the sense of duty or entitlement that has made their differences irreconcilable. This can be difficult, as the client will likely be hostile to what they will perceive as an attack on their driving principles. Most parties, however, can be convinced to seek an amicable resolution if they are made to understand that litigation is often self-destructive, particularly when it becomes an end in itself. Strategies should be immediately employed to set the stage for early resolution. For instance, both parties should be encouraged to engage in swift, informal evaluation of their competing claims. Formal discovery and depositions can be time consuming and expensive. The claimant should be given early nuisance settlement offers. The parties should be encouraged to participate in pre-suit alternative dispute resolution. Early proposals for settlement should be employed to quickly shift risk. If the matter cannot be settled infor­mally, then the parties should try formal mediation.